Have you ever felt the pressure of filling the first page of a brand new journal? The intimidation that exists knowing that the first entry was setting a precedent for all the pages that followed? I have first page anxiety. And here I am, writing on the “first page” of a new “journal” for #GoTeamGray. When I first mentioned to Angie just how wonderful it would be if we could all share memories, pictures and video of Will, I didn’t quite know how much I would look forward to it. After all, I figured it would be a great place for the community to connect, and a way to continue experiencing our friend’s life. So, here I am starting the whole thing, and I’m completely torn on how to kick it off. Do I share the heartfelt memory of Will inspiring me to create? Do I recount the last tearfully beautiful conversation I had with Will? How about something from the arsenal of fun moments we had together over 11 years of friendship? My actual memory of Will may appear short, but it’s rich with personality and life. You see, many of us living in Los Angeles are hundreds, if not thousands, of miles away from our families. Because of this, we orphans often find other like-minded orphans and celebrate holidays together in any way possible. Will and Angie were part of our family for many reasons, and over the years, we’ve celebrated birthdays, Thanksgiving, Grammy night, the start of Summer, etc., etc., together. 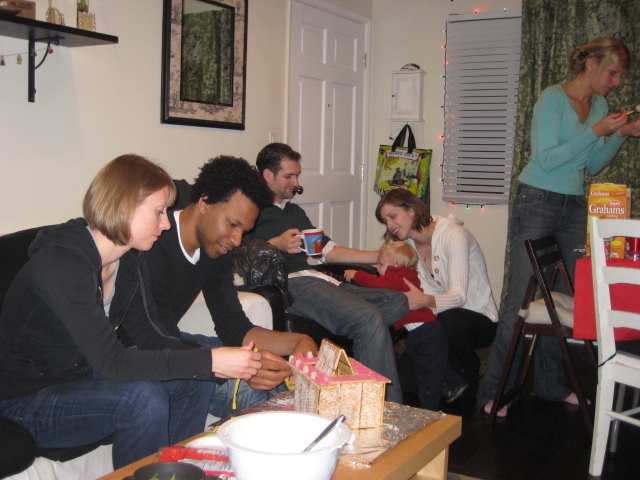 A few years ago my husband Josh and I decided to have a Christmas party for our friends before we all headed out of town for the holidays. It was a Gingerbread house building party — we dubbed it the Ginger Shelter Party, adopted a gingerbread family (the Grahams) and each diligently worked to build the family shelter. The ingenuity and creative fun of our friends did not disappoint — we saw everything from a mansion to a cabin to an igloo to Graham Central Station. 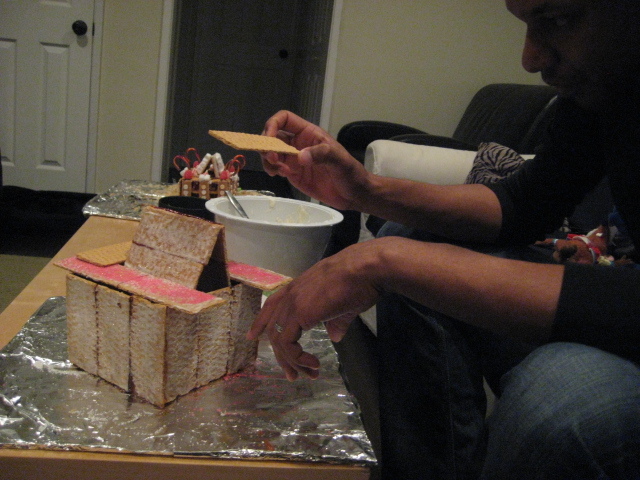 Now, one of the things I loved about Will was his constant need to devour innovation. He was the first person to tell me about a 3D printer, the first in my social circle to really push Twitter, he was on board with Square payment before any other artist I knew. Simply put, Will had a knack for seeking and identifying trends. It’s part of what kept his commerce fresh and his art fresher. So, when he and Angie set out to build a ginger shelter, I knew it was going to be great. I didn’t, however, know how great (and how WILL) it was going to be. With the assistance of his beautiful wife, Will & Angie created an entertainment venue for the Grahams. Dubbed “Gray’s Boom Boom Room”, Will approached the construction of the club with the same passion, ingenuity and creativity found in his actual work. This one, however, was rooted in pure silliness. And while silliness is the overtone, every detail is thoroughly considered, down to the pink sprinkles. Classic Will. So, with that description, I leave you a short video (shot on our tiny little digital point-and-shoot) of Will describing Gray’s Boom Boom Room. May it bring a smile to your face, as we remember the lighthearted beauty Will possessed, and the joy he brought his family and friends. Haha, that is amazing. I love it. “A place where dreams come true… it’s whatever you want it to be… the possibilities are endless…” Definitely a true picture of Will. Great work on the Boom Boom Room Angie and Will! Thank you for starting the Memory Journal and for sharing pictures and video. I love it and agree… it allows us to continue to see a new view of Will. What a beautiful tribute to your friend. I smiled through the video. And your first words were great. This is beautiful, Allison. I smiled and laughed through the aching tears that flowed from my eyes. Thank you for sharing this. And what a beautiful picture of Will and Angie!